Should You Tell Your Buyer's Agent Your Max Budget? Should You Tell Your Buyer's Agent the Highest Price You Will Pay? You might be tempted to tell your agent everything, including the highest price you will pay for a home. After all, your buyer's agent is supposed to be on your side and keep your information confidential, right? The fact is, once you share any secret with another person, it may no longer be a secret. It isn't that the agent would intentionally reveal what you've told them, but an agent can't reveal what they don't know. What will we do if the seller outright rejects our offer? Should we tell the seller we will consider a counter offer? If the seller accepts our offer, maybe we offered too much. Maybe the seller will be insulted because we offered too little. If the seller counters at full price, should we accept that price or should we make a counter offer? If the seller writes a counter for $10,000 more than our offer, should we split the difference and increase the sales price by $5,000? All of this may result in an urge to tell your buyer's agent exactly how much you will pay. That's understandable. As a buyer, you want and need strategic advice. Deal with a known quantity. Apart from the examples above, there are dozens of ways a seller can react to an offer. 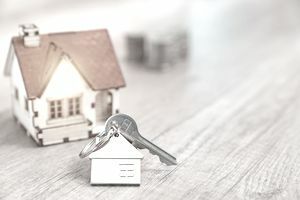 Much depends on factors such as the temperature of the marketplace, competition for the home, available financing, and the seller's motivation. Offers should be structured from the beginning with those conditions in mind. The best outcome, of course, is the seller will accept the buyers' offer upon presentation. And that, believe it or not, happens all the time. Should You Talk to a Lender or a Real Estate Agent First? Why Should You Sign With a Buyer's Real Estate Agent? How Many Real Estate Agents Can a Homebuyer Work With?